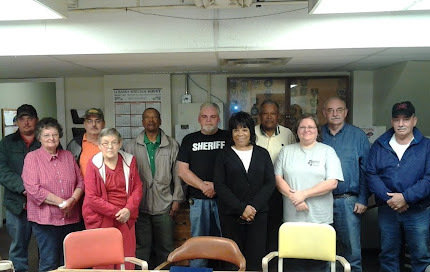 Winston Choctaw County Regional Correctional Facility (WCCRCF) Warden Neal Higgason applauded his team for their work as representatives of the American Correctional Association completed an onsite audit of the facility on Thursday. The results of the audit were very positive and were disclosed in a final public meeting at the prison on Thursday morning. Members of the Board of Supervisors, facility staff and media were present as Ray Tamminga of ACA spoke in glowing terms about the facility and the findings of the three auditors who had reviewed over 450 compliance standards since Tuesday. Tamminga indicated that all mandatory standards had been met and that 392 out of 395 secondary standards had also been met resulting in a 99.2 % compliance rate. ACA requires a 90% compliance rate for recertification. The three non compliant issues involved programs available to inmates and ACA recognized that these issues were in some ways tied to funding limitations. Tamminga noted the support of the community and the hospitality shown the auditors and expressed appreciation to see the local community, the Board of Supervisors, the Ms Department of Corrections and local media’s interest in the facility. Other members of the audit team expressed appreciation as well. The auditors thanked Sheriff Jason Pugh and Warden Higgason for their efforts and particularly singled out Assistant Warden Patricia Whitcomb for her assistance and preparation. Accreditation is completed every three years at correctional facilities across the country. Final accreditation must be approved by the ACA Board. This will take place in August in Boston as a facility representative will attend a final hearing.